One of many billboards across Iran memorializing people killed during the Iran-Iraq War (1980-1988). 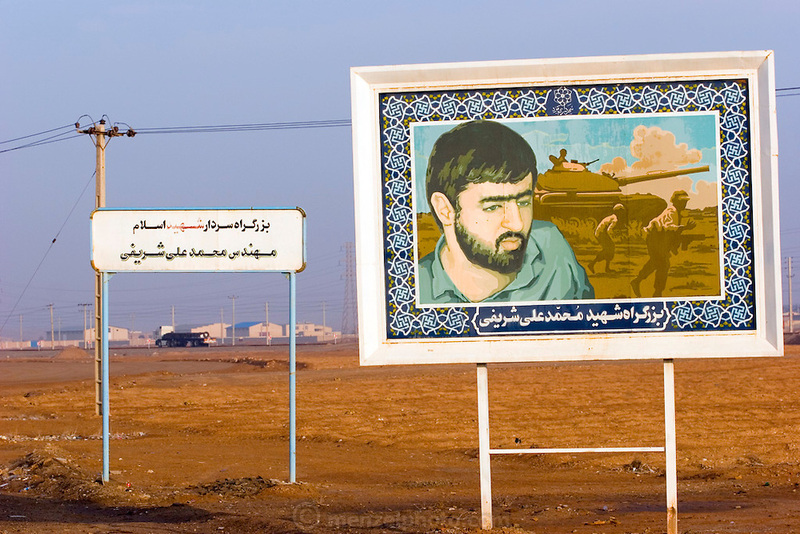 Often called martyr billboards, this one on the outskirts of the city of Yazd portrays Mohammed Ali Sharifi after whom a portion of the main highway from Yazd to Na'in highway is named. Yazd, Iran. He had been a resident of the city of Yazd.